Just for a change, I thought I would jot down a quick post about something else other than what I have been stuffing my face with. This week, I arranged a bit of an assault on my oratory senses. First a big cow containing a beat boxing madman (and friends) and then some seriously off the wall comedy at my local. 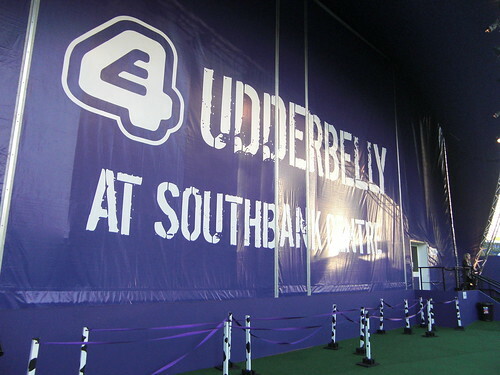 E4 are running a series of shows at the "Udderbelly" on the Southbank, in preparation for their move up north for the Edinburgh Festival. 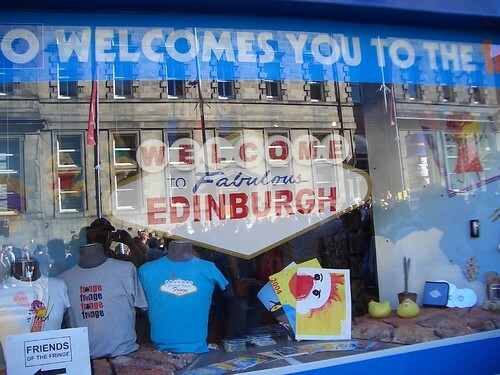 A popular venue up in Edinburgh, the "Underbelly" is normally based in the cavernous area under the George IV bridge. 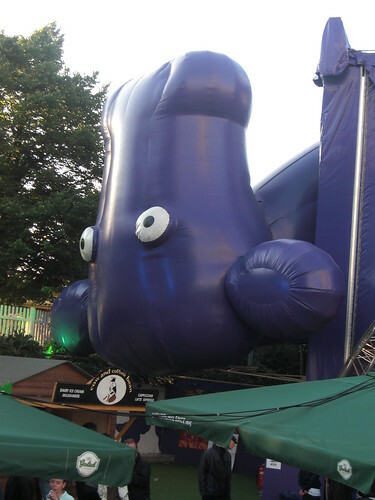 Instead here in London, we get a big purple upside down cow! "Beardyman's complete and udder shambles" was a collaboration between the man himself and a few of his contemporaries, each with their own abilities (almost akin to superheroes). There was the scratcher, the instrumentalist, the other beat boxer, the electric guitarist, the MC and even his brother with his own comedic songs. If you have never heard of or seen Beardyman, he is a sound to behold. His vocal/beat boxing ability really blew me away. Although he was supported by some very talented people, none of them could even come close to this genius. Check out some of his stuff here. 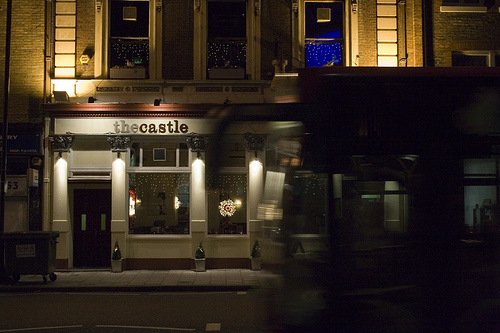 After that assault on my eardrums, I decided to indulge in a bit more EdFest related tomfoolery, this time, a couple of Festival warm up gigs down at my local boozer, The Castle. £3 on the door, a ridiculously paltry sum, we all bundled to the room upstairs and sat back to enjoy the show. Two hours later, we emerged from a sweltering room, satisfied if a little hot under the collar. The best on the night was John Gordillo and his show “F*ckonomics”. A really affable fella with some good material. If your heading up to the festival this year, check out his show. I arrived home to find my flat slightly damp after the unholy deluge that London endured earlier that day. One of the follies of living in a basement flat with inadequate drainage. Oh well, I guess you can't have it all.